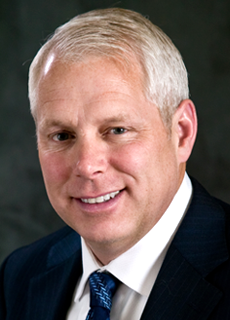 Kevin A. Neveu is President, Chief Executive Officer and a Director of Precision Drilling Corporation and has held these positions since joining the company in 2007. Mr. Neveu has 38 years of experience in the oilfield services sector holding various technical, marketing, management positions over his career. Previously, Mr. Neveu was President of the Rig Solutions Group of National Oilwell Varco, Houston and held senior management positions with it and its predecessor companies in London, Moscow, Houston, Edmonton and Calgary. Mr. Neveu is currently the Chairman of the International Association of Drilling Contractors and an Advisor for the University of Calgary’s School of Public Policy. He is a former Corporate Board member of Finning International Inc., Bonanza Creek Energy Inc. and RigNet Inc. Mr. Neveu has also served on the Boards for a National Sports Organization as well as a Provincial Health Association. Mr. Neveu holds a Bachelor of Science degree in Mechanical Engineering and is a graduate of University of Alberta and is a registered Professional Engineer in the province of Alberta. He has also completed the Harvard Advanced Management Program in Boston, Massachusetts. Julie J. Robertson was named Chairman of the Board, President and Chief Executive Officer of Noble Corporation in January 2018. Previously, she served as Executive Vice President of the Company from February 2006 and as Senior Vice President – Administration from July 2001 to February 2006. Ms. Robertson also served continuously as Corporate Secretary of Noble since December 1993 until assuming the Chairman’s role in 2018. She also served as Vice President – Administration of Noble Drilling from 1996 to July 2001. In 1994, Ms. Robertson became Vice President – Administration of Noble Drilling Services Inc. From 1989 to 1994, Ms. Robertson served consecutively as Manager of Benefits and Director of Human Resources for Noble Drilling Services Inc. Prior to 1989, Ms. Robertson served consecutively in the positions of Risk and Benefits Manager and Marketing Services Coordinator for a predecessor subsidiary of Noble, beginning in 1979. She earned a Bachelor of Journalism degree from the University of Texas at Austin and attended the Advanced Management Program at the Harvard School of Business. Mr. Scott McReaken was appointed Chief Executive Officer of the Northern Drilling Group in December 2018. Prior to this appointment Mr. McReaken has been a part of the Seadrill group companies since 2012, where he served as Chief Executive Officer and Director of Sevan Drilling Ltd and Chief Financial Officer of North Atlantic Drilling Ltd.
Mr. McReaken has over 15 years of experience in the offshore drilling industry, which includes various leadership roles in the United States, North Sea, West Africa and South America. Mr. McReaken began his career at Arthur Andersen LLP and is a Certified Public Accountant and Certified Internal Auditor. He holds a degree in business administration from The University of Texas at Austin and is a US citizen residing in the Houston, TX. 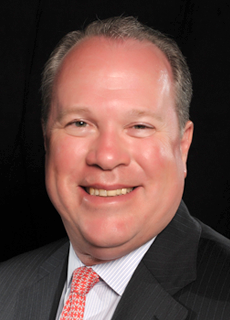 Mr. Mackenzie serves as Senior Vice President, Marketing, Innovation & Industry Relations. He is responsible for identifying innovative technologies that create demonstrable value for Transocean’s customers and differentiate Transocean from its competitors in addition to leading Transocean’s Marketing organization. Mr. Mackenzie served previously as Vice President, Marketing and Contracts, Managing Director, Business Development and Strategic Accounts, and as a Marketing Director with increasing roles of responsibility in the United States, France, and Dubai. He brings over 20 years of industry experience and prior to his time in Marketing, Mr. Mackenzie served in various operational and project roles around the globe, starting his career at Transocean as a rig-based engineer in 1997. He has worked on all manner of drilling rigs in Algeria, Nigeria, Cameroon, Angola, Brazil, and the US Gulf of Mexico. Mr. Mackenzie currently serves as Division Vice President Offshore of the International Association of Drilling Contractors and on various committees for the Offshore Energy Center. He previously served in numerous roles for IADC chapters in Houston, Brazil and Dubai. Mr. Mackenzie graduated from the Harvard Business School Advanced Management Program in 2016 and received his bachelor’s degree from the University of Strathclyde in Civil Engineering with Environmental Studies in 1997. 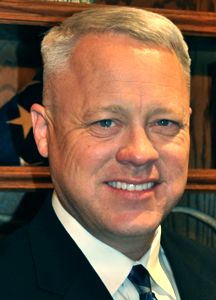 Scott McKee is the Vice President for Marketing at Cactus Drilling Company in Oklahoma City. Mr. McKee began his oilfield career in 2004 and is a past Chairman of the IADC Oklahoma/Texas Panhandle Chapter. Mr. McKee is a graduate of West Point and left active duty as a combat veteran and Army Captain. He is also a member of the Oklahoma Independent Petroleum Association and the American Association of Drilling Engineers. Lee Womble is Vice President of Sales for the Cameron Drilling Systems Product Line of Schlumberger, with global responsibility for sales of capital equipment, projects, complete rig solutions and rig upgrades along with global accounts management. He joined Cameron in 1988 as a Product Design Engineer after receiving his Bachelor of Science degree in Mechanical Engineering from the University of Texas at Austin. Lee received his registered Professional Engineer license from the State of Texas in 1993 and obtained his first patent in 1994. He has since managed engineering, repair operations, manufacturing, field service and sales. Mr. Womble has since held numerous positions throughout his 29-year career such as Design Engineer, Repair and Sales Mgr., Regional Manager, Director and now Vice President since 2007. He has lived and worked in locations such as the US, Saudi Arabia, Egypt, Indonesia and Malaysia. Lee has served on committees for API, AADE, IADC and The Joint Industry Task Force. Miguel is Vice President at WDI. Miguel has over 20 years of experience in the Oil & Gas industry; he has had the opportunity to work in several geographies around the globe as well as multiple disciplines within the industry. He started his career with BP in Venezuela in 1997 as a commercial analyst before moving to the United States, where he held several roles in downstream & Upstream segments for BP. He then worked for Key Energy Services as Business Development Manager, before moving on to Saxon Energy Services and then Parker Drilling, where he held a variety of roles in Colombia, the U.S. and the Middle East. He joined WDI in 2017 as Vice President, Business Development. Miguel has a Bachelor’s in Business Administration, from Florida International University; a Finance Graduate program from Universidad Metropolitana in Caracas, Venezuela and a Master degree from Arthur D’little School Of Management.